In its first judgment in favor of a living survivor of Pinochet era abuses, the Inter-American Court of Human Rights (IACtHR) has found Chile in violation of its obligations to investigate and remedy the arbitrary detention and torture of Mr. Leopoldo Garcia Lucero, who was left permanently disabled by the treatment he suffered in the 1970s. See I/A Court H.R., Case of Garcia Lucero and others v. Chile. Preliminary Objections, Merits, Reparations and Costs. Judgment of August 28, 2013. Series C No. 627. The case raised questions of the IACtHR’s temporal jurisdiction, the adequacy of domestic remedies, and what full reparation for torture victims should comprise. After reviewing the case, the IACtHR found that the 16-year (1993-2011) delay in investigating the crimes committed against Mr. Garcia Lucero violated his human rights. [BBC; Guardian] Chile violated articles 8(1) and 25(1) of the American Convention on Human Rights (“Convention”), which guarantee the right to due process and the right to judicial protection, respectively. [IACtHR – Spanish only] As a State Party of the Convention since 1990, Chile had an obligation to conduct a timely investigation into Mr. Garcia Lucero’s allegations. See I/A Court H.R., Case of Garcia Lucero and others v. Chile. Preliminary Objections, Merits, Reparations and Costs. Judgment of August 28, 2013. Series C No. 627, para. 16. 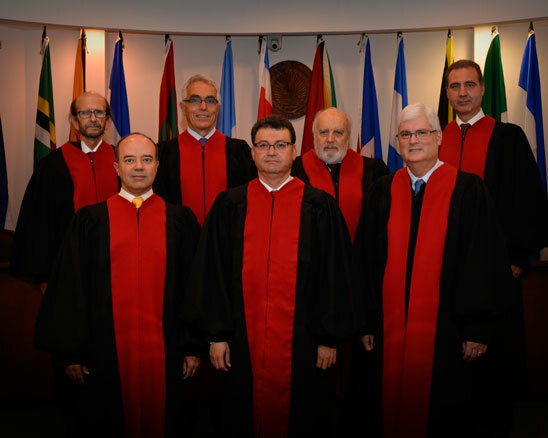 In its judgment, the Inter-American Court found that the recognition of torture victims in the National Commission on Political Imprisonment and Torture (the “Valech Commission”) report and the stipends awarded to survivors were insufficient to remedy the torture committed by State agents, particularly because no criminal cause of action for torture existed and pursuing the civil tort remedy for torture would require the victim to be able to identify the responsible individual(s). The Court did not address the underlying acts of torture and arbitrary detention because Chile only became a State Party to the American Convention on Human Rights in 1990. The IACtHR held its 49th Special Session in Brazil from November 11 to 14 during which the tribunal convened a public hearing in the Case of Rodriguez Vera and others v. Colombia, involving the Palace of Justice siege in 1985. [Spanish only] The Court will hold its 101st Regular Session from November 18 to 29 in San Jose, Costa Rica. For more information on the Garcia Lucero case, see the Inter-American Commission on Human Rights’ admissibility report, merits report and letter of submission to the Court. See IJRC’s webpage on the Inter-American System for additional information and resources on the Inter-American Commission and Court.